We are hands-on adjustors using manual techniques (using our hands). 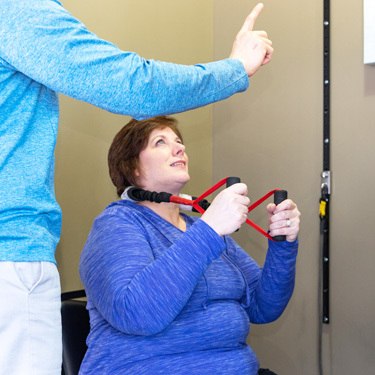 Adjustments are geared to match your individual needs along with what we deem appropriate to fix your condition. 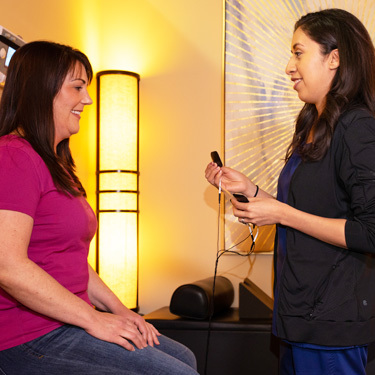 Our adjustments usually don’t hurt and our patients enjoy the relief they feel after. We recommend Spinal Decompression for disc degeneration and disc injuries. It is a computerized, disc-specific traction, that helps heal spinal disc related conditions. It’s very relaxing and often we hear people snoring during the process. This technique stretches you out for about 15 minutes. We want you to stay active in the course of your care. With physical therapy, we’ll strengthen weak muscles so that you get stronger. All rehab mechanisms are based on your X-ray findings and exam findings. 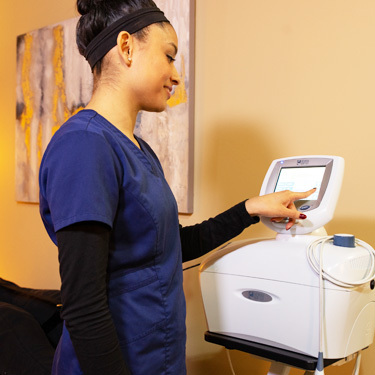 Our treatment is based on what the X-ray shows and are all tailored to you. We’ll give you exercises that can be performed at home after we teach you to how do them correctly. We’ll use a body weighting system which helps to level out the spine in scoliosis cases. This is a unique rehab technique we use if a spine is bent incorrectly (scoliosis). For soft tissue injuries, we recommend myofascial release. This does not require adjusting; instead we’ll focus on massaging soft tissues to help the tissue heal quickly.